Advocates of Medicaid expansion got some positive reinforcement in several recently released studies. This year, the perennial struggle over the future of the health-care program for low-income Americans became even more pronounced. After an epic political battle, Virginia's government agreed to expand Medicaid under the Affordable Care Act to more low-income residents beginning next year. And three conservative states -- Utah, Idaho and Nebraska -- are considering it, too. Meanwhile, 11 states have filed applications with the federal government to effectively scale back the program by adding new eligibility requirements. President Trump and his administration have targeted Obamacare, weakening several of its key provisions, while Republicans in Congress, after failing to repeal and replace the ACA last summer, are trying to scale back some entitlements that help the poor: food stamps, housing programs and Medicaid (they argue a strong economy allows more able-bodied adults to work). Democrats have responded by taking up the mantle of "Medicare for all" and some states are considering "Medicaid for more" programs. With that backdrop in mind, it's notable to point out the results of recent research: one report that aimed to disprove a common charge against Medicaid expansion; and another intended to highlight its virtues. A frequent argument against Medicaid expansion is there aren't enough doctors accepting Medicaid patients to go around. Republicans contend the Affordable Care Act has exacerbated that problem because it allows states to expand Medicaid. Early last year, our Post Fact Checkers gave Speaker of the House Paul D. Ryan (R-Wis.) “two Pinocchios” for saying that “more and more doctors just won’t take Medicaid,” writing there wasn't sufficient evidence to back up his statement. Now, there might be. New research, led by Hannah T. Neprash, a professor of health policy at the University of Minnesota, concludes that expansion has not caused doctors to take fewer Medicaid patients. Using claims data from primary-care physicians nationwide, Neprash found that after comparing 2013 to 2015, — the years before and after states began expanding Medicaid — there was a slight uptick in doctors' patient population on the government program. In the states that chose to expand (then 30, plus Washington, D.C.), the average share of a doctor's patients on Medicaid went from 10.2 percent in 2013 to 13.6 percent in 2015. In non-expansion states, there was no notable difference either way, according to the study. Neprash's findings, published in last month's Health Affairs, are consistent with other research that has studied Medicaid populations. Our Post Fact Checker wrote that, absent the type of data Neprash analyzed, one way to measure Medicaid patients' access to doctors is how often they actually get care. 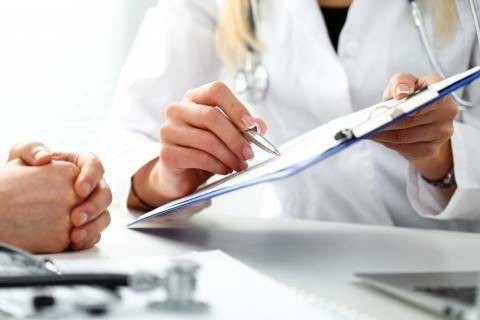 According to a survey by the Medicaid and CHIP Payment and Access Commission (MACPAC), a nonpartisan legislative branch research agency, adults with Medicaid were "as likely to have seen a doctor in the past year as adults with private insurance." And, unsurprisingly, compared with uninsured adults, "Medicaid enrollees were considerably more likely to have seen a doctor in the past year." Another study released Monday afternoon by Health Affairs found that in states that expanded Medicaid, there was a 40 percent increase in patients filling their diabetes prescriptions. The chronic health condition, which requires daily medication to maintain, is prevalent among poorer Americans. The price of insulin has increased sharply in the last decade. Untreated, diabetes can lead to more serious complications like kidney damage or heart disease. The study, as reported by Kaiser Health News, “shows that the Medicaid expansion can help patients manage their health and also limit unnecessary spending. An analysis by the Centers for Disease Control and Prevention cited by the study shows that each diabetic patient who is treated for the condition can lead to a $6,394 reduction in health care costs (in 2017 dollars) because of fewer hospital admissions,” Kaiser's Pauline Bartolone writes. As noted by Kaiser Family Foundation last week in a piece about community health centers' role in treating opioid addiction, evidence like this will influence the debate as the tussle over the future of Medicaid continues. Adding eligibility requirements, the independent organization writes, creates additional barriers to Medicaid coverage for those patients dealing with chronic health issues, whereas expansion of Medicaid helps more people address those conditions before they get worse — and even more costly. Let's not forget that such additional medical costs, whatever they may be, may fall on the taxpayer. OOF: Here’s a new one: Plastic surgeons are facing an emerging phenomenon known as “Snapchat dysmorphia,” where patients are bringing in selfies of themselves, edited with certain filters, as inspiration for augmentation. The filtered photos, via Snapchat and Instagram, or paid applications like Facetune, show people with “freckles, longer eyelashes, wider eyes and flawless skin, among other augmentations,” our Post colleague Allyson Chiu reports. According to an article published in JAMA Facial Plastic Surgery, the phenomenon is “causing widespread concern among experts who are worried about its negative effect on people’s self-esteem and its potential to trigger body dysmorphic disorder, a mental illness classified on the obsessive-compulsive spectrum," Allyson adds. OUCH: The health ministry in Congo said over the weekend the latest outbreak of Ebola virus is believed to have killed at least 33 people, Reuters reports. Yesterday, the ministry said the outbreak is suspected to have infected 43 people, though it did not update the reported death toll. "Giving the latest figures on the epidemic, which was declared just days after an outbreak in northwestern Congo 2,500 miles away was declared over, the ministry said of the 43 suspected cases, 16 were now confirmed," Reuters reports. "There were three new cases confirmed and four new deaths, as of Monday, it said." The treatment strategy will rely on how the vaccine is transported into the region. — The Trump administration is already facing an uphill battle as state governments and regulators express concern following the announcement that it will allow people to buy cheaper, short-term health plans that aren't necessarily ACA compliant. State officials worry that means healthy people will leave the marketplaces. States have the authority to restrict or prohibit these short-term policies, Robert notes, making their concerns notable. And some states are already fighting back. Republican governors in Maryland and Vermont have both signed bills limiting the short-term policies to three months or less. Virginia’s Democratic governor vetoed a bill to sell plans that last up to a year, and Hawaii set a new law imposing a three months limit and limiting the short term health plans to those who cannot buy insurance through the Obamacare marketplace, Robert reports. “He told the country’s 20 million veterans that if they had an issue with the Department of Veterans Affairs, there would be a number they could call 24 hours a day to talk to a real person,” Jessica writes. The president had promised better care for veterans overall, but for now there’s a hotline, where the responders can only listen to the concerns expressed by the veterans who call day in and day out. — The latest figures from the Trump administration reveal the number of migrant parents who waived the right to be reunified with their children after being separated from the border “is significantly lower” than what the government initially reported, our Post colleague Amy Goldstein reported late last week. U.S. District Judge Dana M. Sabraw on Friday criticized the administration for making minimal progress in locating adults who had been deported or who had otherwise left the United States. He also criticized the lack of a stated plan for reuniting remaining families, Amy wrote. “The reality is, for every parent who is not located, there will be a permanently orphaned child, and that is 100 percent the responsibility of the administration,” Sabraw said. — Yesterday, the Food and Drug Administration said it would shift its approach to evaluating drugs that treat opioid addiction, moving beyond just a look at whether treatment helps patients stop using opioids. The FDA will now consider whether the treatment reduces opioid relapse rates or infectious disease transmission, Commissioner Scott Gottlieb explained in a statement. “The announcement is the latest in a string of efforts to improve the federal government’s response to the growing opioid crisis, which also includes legislation on Capitol Hill that aims to ensure treatment is evidence-based and, separately, to ensure more federal programs will pay for methadone treatment,” Stat’s Lev Facher reports about the new announcement. — Organs for Life, a new nonprofit that had hoped to replace the nation’s current organ transplant network, will not have the chance to do so. The nonprofit lodged a protest after the Department of Health and Human Services said that any applicant bidding for the 2019 contract to take over the transplant program would have to demonstrate three years of experience “managing projects of similar scope and complexity in the field of organ transplantation,” our Post colleague Lenny Bernstein reports. — Is that glass of red wine — or any moderate drinking in general — actually healthy for you? Our Post colleague Joel Achenbach reports research and evidence around alcohol consumption are “stubbornly ambiguous,” referring to studies that have previously found that people who drink alcohol in moderation have lower rates of heart disease compared with people who drink heavily or don’t drink at all. But research around the topic is at a crossroads. A solution was supposed to be in the works this year, in the form of a $100 million trial sponsored by the National Institute on Alcohol Abuse and Alcoholism (NIAAA), part of the National Institutes of Health. But that trial was terminated over concerns about its credibility, the source of the study’s funding, the communication between researchers and industry representatives, as well as concerns about the study’s design itself. — There are at least a dozen Democrats running for governor across the country who are vowing to bring “Medicare for all” to the state, our Post colleague Dave Weigel reports. — Politico’s Jennifer Haberkorn also has a dispatch from Denver where the issue is embedded in Colorado’s gubernatorial race. “Colorado squarely encapsulates how the Democratic base is quickly embracing the decidedly progressive idea of a universal health system — as well as the big gap between their fervor and the realities of creating such a system,” Jennifer writes. — A new class-action lawsuit was filed late last week against the New York State Department of Health over a Medicaid ban on dental implants and denture replacement limits, charging that the “the state is denying medically necessary treatments for thousands of low-income New Yorkers,” the New York Times’s Tyler Pager reports. Tyler writes about a 57-year-old Frank Ciaramella, a plaintiff leading the suit. Ciaramella doesn’t have any teeth, and while he had dentures temporarily, he had issues with the fit of his bottom dentures and his top dentures fell out and were run over by a car, Tyler explains. Medicaid has declined to pay for a replacement until 2024. Ciaramella has another problem – he’s been waiting on a kidney transplant and needs to be on a high protein diet, but no teeth means he can’t chew the right foods. But he can’t afford a food processor and dialysis limits the amount of liquids he can drink. “While this case is really about getting people like Frank the access to medically necessary dental care that they need, it’s also to continue taking on categorical bans generally in the hopes that the practice dies out eventually,” said Wesley R. Powell, a lawyer for Willkie Farr & Gallagher, who filed the suit along with The Legal Aid Society. — Arkansas, the first state to add work requirements for its Medicaid enrollment, saw spending decrease by $22 million for the program this year compared to last. But this drop in spending, due to less people enrolled in the state's program, is not yet due to the new work requirements, which went into effect in June, according to the Arkansas Times. 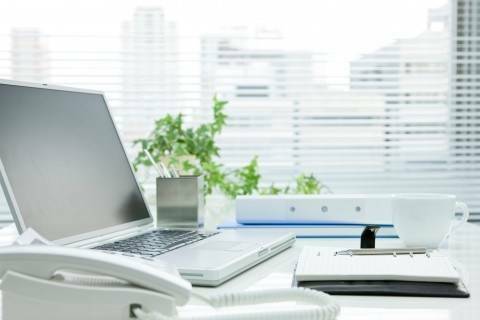 "Eventually, the work requirement will likely cause some people to lose coverage: If beneficiaries fail to report 80 hours of "work activities" per month for any three months in the calendar year, their insurance will be terminated and they'll be locked out of the program for the rest of that calendar year. However, such closures wouldn't show up until September at the earliest." Governor Asa Hutchinson said it was the first time in the state's history that Medicaid spending didn't increase. He credited the drop off in Medicaid enrollment to an improving economy with more people working thus earning above the income level for Medicaid. — The House Energy and Commerce Committee, along with its Oversight and Investigations Subcommittee, is calling on pharmaceutical companies PurduePharma, Mallinckrodt Pharmaceuticals and Insys Therapeutics “to answer questions and provide documents about their internal practices, including when they learned prescription opioids could be addictive and how they have marketed the drugs,” our Post colleague Katie Zezima reports. Lawmakers sent letters to all three drug manufacturers. They are “asking Purdue for numerous internal documents relating to when the company knew its product was addictive, including minutes from board meetings and committees at which abuse or the potential for abuse was discussed,” Katie reports. The letter to Mallinckrodt requests more information about the company’s practice of “chargeback,” which Katie explains is "when a manufacturer gives a discount to a drug distributor in exchange for direct consumer information." The letter asks Mallinckrodt when it "started receiving the data and for its policies and procedures on suspicious order reporting. The letter also asks if the company marketed opioids directly to doctors, used sales-based incentive programs and reviewed whether its product could be addictive. The committee is also calling on Insys to provide information about “how doctors were chosen for a speaker’s program about the drug and whether the program is still operational. It also requests minutes from any meetings from Jan. 1, 2012, to the present at which abuse or potential abuse of the drug were discussed," Katie reports. — Democrats pushing for Medicare-for-all, along with Sen. Sanders, have jumped onto a report released by the Mercatus Center at George Mason University, claiming that it shows there would be $2 trillion in savings if it were to be fully implemented. But Charles Blahous, the report’s author, a former economic adviser to George W. Bush and a public trustee for Social Security and Medicare from 2010 through 2015, is “crying foul” at the misrepresentation of his report, our Post colleague Glenn Kessler reports. The claim gets the Fact Checker treatment, as Glenn breaks down a remark from Democratic candidate for Florida governor Andrew Gillum, who was quoted in a story mentioned above by our Post colleague Dave Weigel as touting the $2 trillion in savings point in a debate. 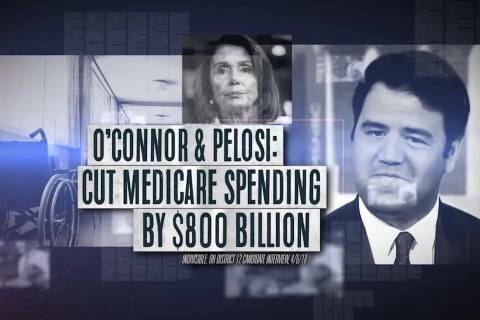 A super PAC accused Democrat Danny O'Connor of wanting to cut Medicare by $800 billion. Not so. Randomized controlled trials, despite their flaws, remain a powerful tool. Hospitals will be required to post the prices they charge for surgeries and other medical procedures online under a new Trump administration rule. 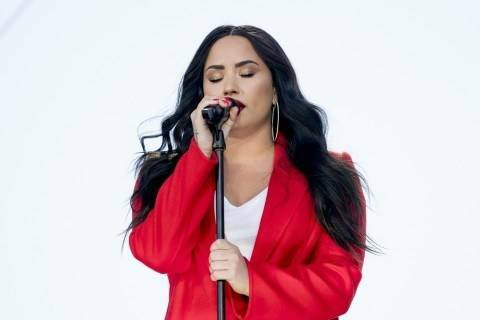 "What I've learned is that this illness is not something that disappears or fades with time,” Demi Lovato wrote in a letter on Instagram. “It is something I must continue to overcome and have not done yet." 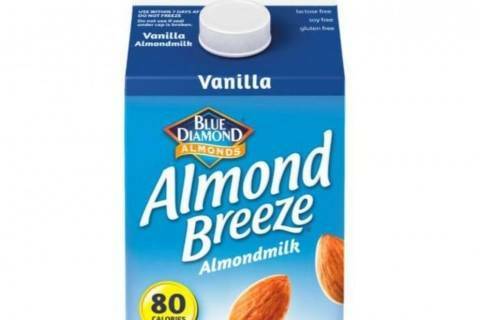 The mix up happened during an ongoing, decades-long debate about what, exactly, is milk. The FDA holds its antimicrobial drugs advisory committee meeting today and Wednesday. The CATO Institute holds an event on short-term health plans on Wednesday.